Elon Musk is one of the greatest entrepreneurs of all time. He is a business magnate, investor, and engineer. 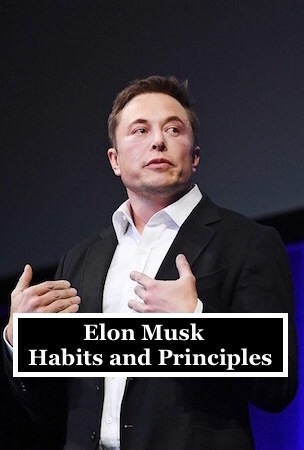 He is the founder, CEO, and lead designer of SpaceX; co-founder, CEO, and product architect of Tesla, Inc.; and co-founder and CEO of Neuralink. In December 2016, he was ranked 21st on the Forbes list of The World's Most Powerful People. As of February 2018, he had a net worth of $20.8 billion and was listed by Forbes as the 53rd-richest person in the world. We collected his habits and main principles from different sources to create a picture of his road to success.